So now follows an article with all the Zero Waste shopping opportunities that are available in town and country. Because I am concentrating here on classic businesses, these alternatives here will seem more familiar to you than the unconventional ideas from the last article. Maybe you already shop there today! In order not mention it separately for each store, I would like to point out once again here how important it is to buy organic products! No matter what store you are in, ask for unpackaged organic products and give them preference. In my experience, the higher price pays off. Ofter course, it is often difficult to combine organic and unpackaged, especially if you have other purchasing criteria. But in my opinion the principles „zero waste“ and „organic“ belong together because of shared values (e.g. recycling principle, nature conservation concept). Unfortunately, I do not always succeed in combining organic and unpackaged. I also have other criteria and also look for regional, unprocessed and protein-rich food. But whenever possible, I buy products that are certified organic. The market is my favorite „shop“ when it comes to packaging-free shopping. Here you find an entire article about it. On a market, we as consumers come into direct contact with producers. This way you can build trust and producers can give you first-hand information about the offered products. Thus, transparency is better than in the supermarket. This way I get many fresh, unprocessed products. They are often from a more regional origin and you will also find organic stands. In some big cities there are even own organic markets – take a look at the homepage of your city to find them! Markets vary greatly from region to region. When I visited a market in Provence, I was really amazed at the range and variety of unpackaged, unprocessed goods! There were even spices (see above). Fortunately I had brought some jars with me and bought different spices and herbs. No matter if your market is bigger or smaller, just have a look around there! Maybe you will discover some of the things mentioned above and can integrate the weekly shopping at the market into your everyday life. The choice is very wide, at least in urban markets: In my hometown there is a market day twice a week with: fruit and vegetables, Greek & Turkish specialities, pasta, bread & pastries, honey, herbs & spices, dairy products as well as flowers and plants. Soap bars are also available at some market stalls. I always choose palm oil-free variants. What do I need for my Zero Waste purchase? Very variable, depending on what your purchase looks like. Fruit & vegetables, mushrooms, herbs, salad, bread…cloth bags or shopping basket. I always put all vegetables in a cloth bag and take care to put the more sensitive varieties on top. Some products are also offered directly in deposit jars. At the market in my neighborhood, it’s milk and tea. At the fair there are some stands where you can buy waste-free. Besides the carnival and all kinds of stands with socks, carpets and jackets, you can also buy unpacked food and bulbs here. The latter in particular is very practical for gardeners who are looking for new varieties for the summer. Fairs usually take place in autumn, October or November. In bigger cities like Vienna there are fairs like the Prater all year long. At my fair stands offered various types of sweets like jelly bears, stomach bread and roasted almonds or other nuts. With a bit of luck there are also tea or spice stands that sell openly – at my fair these products were unfortunately all pre-packed in plastic. I also found market stalls from the weekly market at my fairs, Greek stands or bakers. So that I can better estimate the offer, I go usually once over the market and look, what I would like to buy. Then I’ll go again and take the containers I need. Of course you can do both in one, you just need enough containers…rather too much than too little! The organic food store is often the first port of call for people who want to shop sustainably. Unfortunately, there are often a lot of packaged products to buy in organic shops. But if you take a close look around, you will surely discover other products that are suitable for Zero Waste! The first thing that comes to mind is fruit and vegetables. Normally all kinds of them are unpacked here. In my local health food store, unfortunately, everything is wrapped in paper immediately without asking – before I unpack my basket at the cash desk, I say that I do not want any packaging. Some organic shops offer milk and milk products in returnable glass containers (see above). Most organic shops sell milk, natural yogurt, sweetened fruit yogurt and cream. I have also seen kefir, buttermilk, Swedish milk and vinegar in deposit bottles. There are also organic shops with cheese or meat counters, unfortunately I don’t know any organic shop that has a counter with fresh, unpacked meat alternatives. But maybe you’ll find one in your town! Excursus: What is unfortunately missing in the health food store and generally in all shops are in my opinion plant milk products in reusable containers! I am sure that there would be enough customers for this. So, dear organic shop owners, please look around for plant drinks, plant-based yogurt/cream/cheese etc. in the deposit glass or offer it fresh. I would be happy if I can observe how fresh buckwheat milk, almond milk,… is produced in the shop! Personally, I am completely satisfied with our tap water and drink it exclusively in everyday life. But I know many people that prefer other drinks. It is great that there are also beverage markets where you can buy Zero Waste beverages. There is a beverage market near my home town selling fruit juices, lemonade, various beers and mineral waters in glass bottles. This is where I shop when I prepare a party. In the normal supermarket this is not possible, because most non-alcoholic beverages are sold there in disposable containers. I also look closely at glass bottles to see if they are returnable bottles. Disposable bottles, also made of glass, are not recommended with regard to the life cycle assessment. Unfortunately, most wine bottles and spirits bottles are filled in disposable containers. But apart from that, the beverage market offers a wide selection for Zero Waster at a fair price. Reusable bottles, especially those made of glass, are heavier. Take it sporty and lift the weight! If you’re not allowed to lift heavy, the sales staff will usually be happy to help you get your shopping into the car. Whenever I have a choice, I prefer flip-top bottles, e.g. when buying beer. They are totally reusable and so I avoid waste because of wasteful sealing caps like crown caps. Depending on my drinking habits, I choose larger or smaller bottles so that I can avoid leftovers. A car for the shopping. Therefore, shop rarely, but more. Another option for people who consume less is to buy by bike. Just put the bottles in a bike basket, cushion it a little and ride carefully. You buy bread zero waste at any bakery. And there are many bakers, even in small villages and in the country. In the german-speaking world, a lot of supermarkets recently started to sell „fresh bread, baked in the supermarket“. Because this is a few cents cheaper, small bakers are more endangered would like to recommend the following: Choose a small baker who works without baking mixes and where the bread really tastes better than from the supermarket! For all the people who prefer to bake their bread themselves: I have often heard the tip to ask the baker for yeast. Because this is usually difficult to obtain without a packaging. Ask your baker, maybe he’ll give some yeast for a cheap price. At the bakery – as in most other shops – I order as follows: „Please put all my purchases into my cloth bag without disposable packaging!“ Then I say what I want to buy. This way I make sure that my things end up in the bag I brought with me. Because when I order first, the saleswoman often packs the bread into disposable bags faster than I have expressed my special wish „without packaging“. In addition, I also always request that any „garbage“ such as plastic separating foils, which are often on cakes, are removed. Of course, it would make sense to buy a different type of cake that is offered without garbage. But this way I can at least signal that I am not willing to have a limited choice only because I don’t want to take unnecessary waste home with me. If more people do this, cake dividers, plastic decorations etc. will disappear from the bakers showcases! If you always go to the same baker, the saleswomen usually remembers how you shop and know how to do it without any extra advice. This makes purchasing easier and more relaxing. Sweet pastries, cakes and pies…cookie jar (or old plastic jar). If you eat something at once…cloth napkin, tea towel or just your hand. Oilcloth or small cookie or stainless steel tin for greasier particles and cakes. Note: I cannot address ethical aspects, living conditions of animals etc. here, as this would go beyond the scope of my article. I rarely go to the butcher myself and only buy meat for family members, because unfortunately there is no butcher that offers organic meat in my area. For me, „regional“ and „from Austria“ is not enough for me as a guarantee for ethical treatment of animals. I recommend everyone to reduce meat consumption and myself only enjoy meat roughly twice a month! In a butcher shop you usually get everything you want, even unpacked. Some butchers also offer prepared dishes such as pancakes („Flädle“), dumplings and salads. It is important to mention your desire for unpackaged products when you order meat etc. that will arrive a few days later. Otherwise your orders will often be vacuumed. What do I need for shopping? 7. Specialty shops for liquids – alcoholic and nonalcoholic! In my small town there are several shops specializing in the open sale of oil, vinegar and spirits. Here you can come with your own bottle and fill yourself various oils, vinegar, liqueurs, grappa, rum, vodka, etc..
From my point of view, this is an excellent concept. However, I pay attention to the ingredients of the products so that I only fill my bottle with pure, unflavored vinegar and also use liqueurs without added flavors or artificial colours for presents. Look carefully, only then, in my experience, the often very high price is worthwhile. When paying, please take the bottle unpacked! Otherwise, the salespeople very often wrap them in paper without being asked. When you choose bottles with korks, sometimes plastic tape is wrapped around it. I choose bottles with a good cork or flip-top bottles and reject the tape. All products…A suitable bottle with an indication of its capacity. I prefer iron-on bottles. Usually there are also various bottles available in the shop, but of course specially shaped bottles cost more. It is important that you wash the bottle well as soon as it is empty! In my experience, once bottles are dirty, it is often difficult to get them clean again. Some grain mills have an own small shop: They are also prepared to fill your flour into containers you bring along or to sell large quantities from 10 kg. Old grain mill…I was very impressed when I was once allowed to visit such a mill near Berlin. They’re still grinding grains there! And even those who have an oil mill nearby can consider themselves lucky! I often go to my oil mill. Even though it does not look as impressive as the one in the picture above, it produces high-quality oils, nut mousse and nut/almond flour from the pressed residues. Almost all products are certified organic. Due to the high protein content and the excellent taste I am a special fan of the different nut flours, which can be used very creatively. People with gluten intolerance can also enjoy these flours. Surprisingly, even some pharmacys offer unpackaged goods! In the pharmacy you can often buy open tea varieties, baking soda, citric acid and other acids. Maybe your pharmacy will even sells natural herbal remedies. Just ask your pharmacy for zero waste products. In the paradise for those with a sweet tooth, with a little luck you can also buy unpacked products. Sometimes you also find small, chocolate coated fruits, jelly bears or jelly beans open. When you visit a chocolate manufacture, ask for unpackaged cholocate! However, you need to take a critical look at the prices of chocolate sold in display cases. In my opinion, it is often overpriced (I once saw a price of 6.00€ per 100g in Austria – for milk chocolate that was neither organic nor Fairtrade, of Swiss origin only). Certainly, Coffee-To-Go shops are common there, but with „Tea and coffee shops“ I mean specialty shops where you can get loose tea and coffee in sufficient quality. I always buy loose tea – once you try it, you’ll never want bags again. Since I am not a coffee drinker, I can only pass on the experiences of my family. My mother says coffee tastes best freshly ground and brewed. The price level varies greatly depending on the business and products. When I am shopping at the tea shop, I think the prices are fair or even lower than in the supermarket (because tea bags are more expensive than loose tea). However, in the coffee shop, products are usually way more expensive. It is important to use airtight boxes for coffee and tea shopping so that the aroma cannot escape. For example, similar to the Greek market stall many Turkish shops sell olives, pickled vegetables and fresh flatbread. In addition, some shops offer various spreads and feta and often have their stands at the weekly market every week (see point 1). You will also find a wide selection of spices in jam jars in an oriental supermarket. Asian grocery stores, on the other hand, are more waste-intensive according to my experience. The lion’s share of the products is plastic-packed. But from other people that live zero waste I heard that some of these shops also offer vegetables and meat alternatives (e.g. tofu) without packaging for sale. The only disadvantage: The products here are usually not organically grown and not from the nearer region. For shopping, as always, you’ll need alarm glasses, stainless steel containers (or old plastic boxes). With this and the previous article, you have a wide choice to go shopping without special stores. Do you still have another idea for zero waste shopping? Write a comment so I can add it. 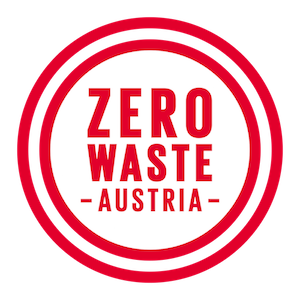 I will now release the next article about Zero Waste at the beginning of September because I go on holiday…be curious! Products have only partial organic quality – that can of course look different in your city. In this respect, the market in my region is of course still expandable! You can also make your own plant milk. But not everyone wants or has a sufficiently powerful blender or mixer. In order to give Zero Waste customers the choice, I therefore think it is quite appropriate that these products can also be purchased unpacked, at least on advance order. It would also be great if you could produce fresh vegetable milk in front of the customers in the shop! With the right blender it’s child’s play.